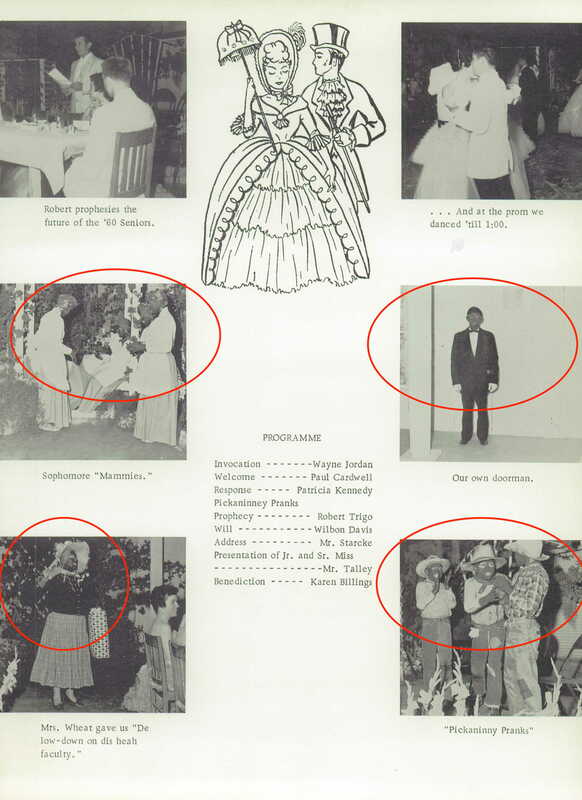 Black Face is America's Problem - who is nicka smith? So, nationally, we want to talk about yearbooks. We want to out people who did inappropriate things. We want them to own it, apologize, resign, and atone, right? But what if our expectations will bring down a system so large, that we may not be able to truly deal with it and that’s why we haven’t really dealt with it to begin with? 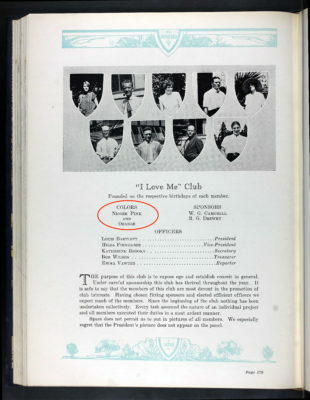 What if our expectations entrap our own family and community members – folks we have access to more regularly than politicians – and they expose a nasty sore that is uniquely American in nature? 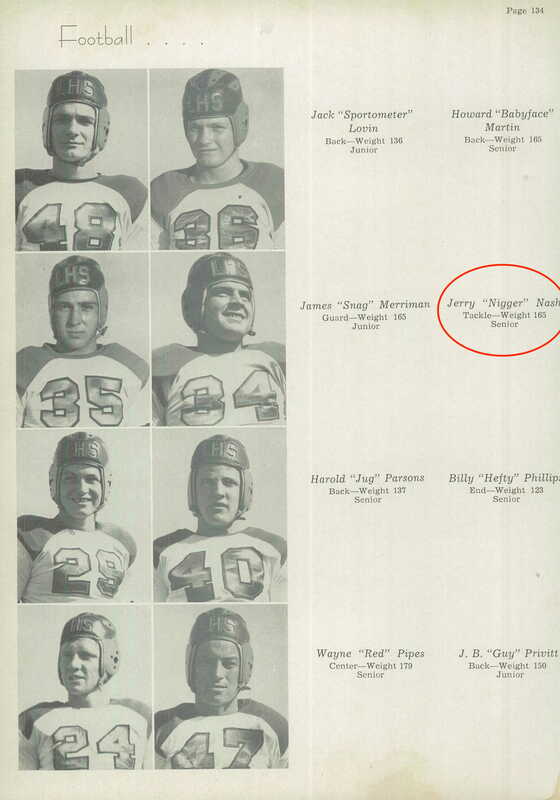 Too many senior sections to count featured the nickname “nigg**” for seniors such as “Hey Nigg** Bennet” (Dexter High School, Dexter, Maine, 1962) or “Nigg** Bob” (Galena Park High School, Galena Park, Texas, 1956). Others mentioned the word darky. 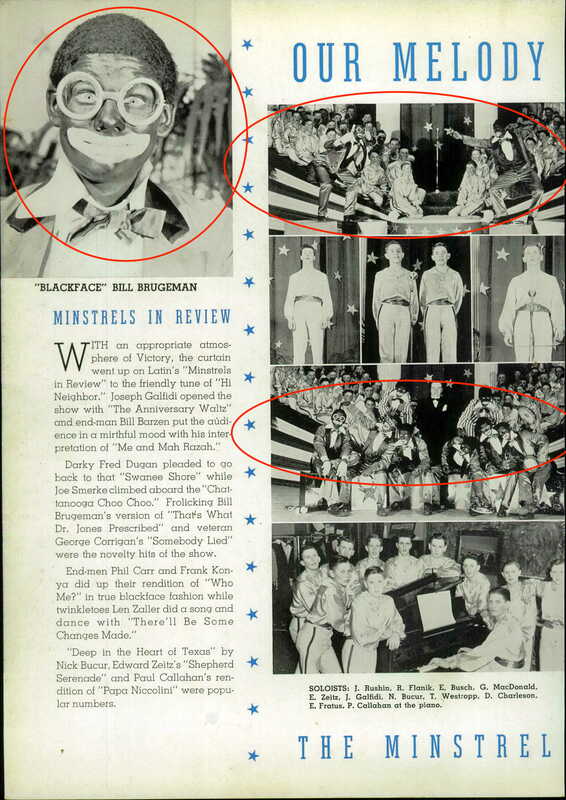 There were even mascots named nigg**. 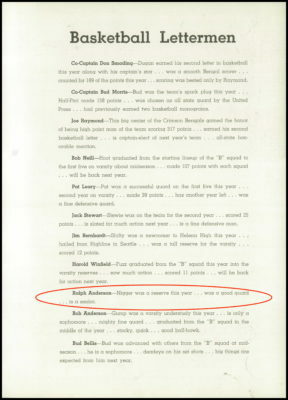 Athletics pages also had the epithet. Have a particularly “strong” or “brutish” player? 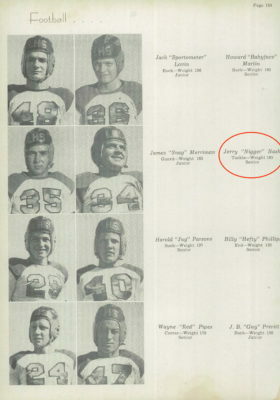 Use the nickname of “nigg**” for a basketball player, like at at Helena High School in Helena, Montana (1947) or even a football player like at Lubbock High School in Lubbock Texas, 1939. Oh, it gets worse. 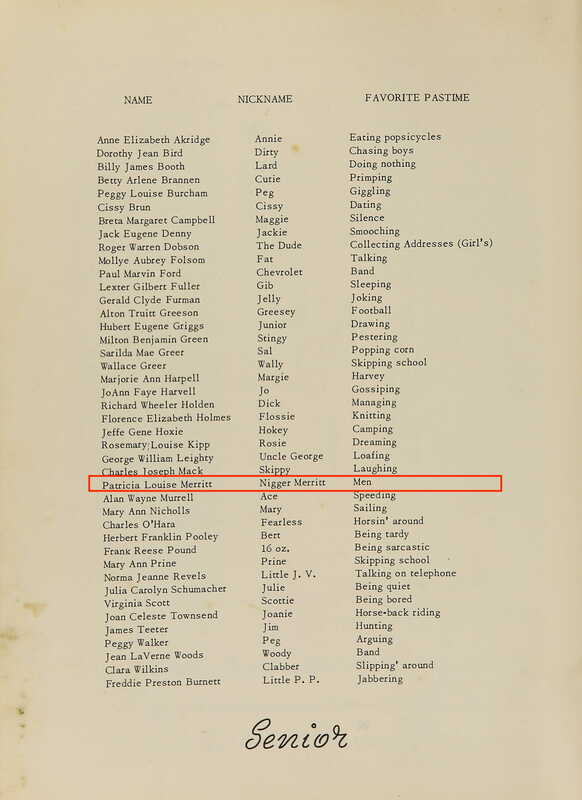 I even found an insinuation of promiscuity, perhaps with Black men, where a female student was issued the nickname “Nigg** Merritt.” The same student’s favorite pastime was allegedly “Men.” (Cocoa High School, Cocoa, Florida, 1950). 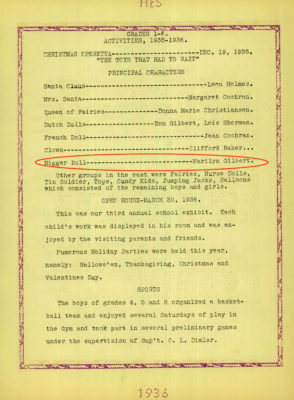 “Nigg** Doll,” the name of a character for a play called “The Toys That Had to Wait” for grades 1-6 (Walbridge High School, Walbridge, Ohio, 1936); a Halloween carnival where “the boys…had much fun at their ‘Nigg** Baby Ball Throwing Booth;” (Lucerne High School, Lucerne, Indiana, 1937). 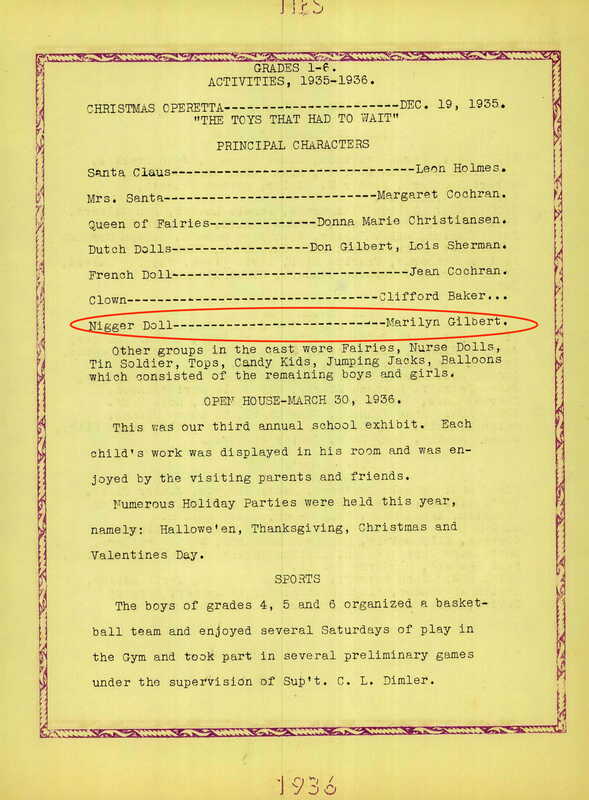 Yes, an actual booth where balls were hurled at African American children. 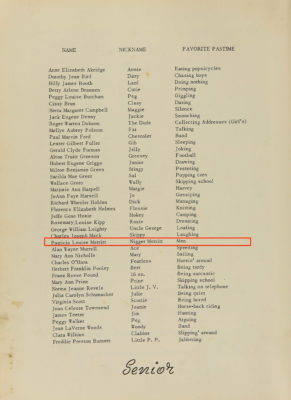 It was common at the time as per the Jim Crow Museum of Racist Memorabilia. What about colors? Yes even that. 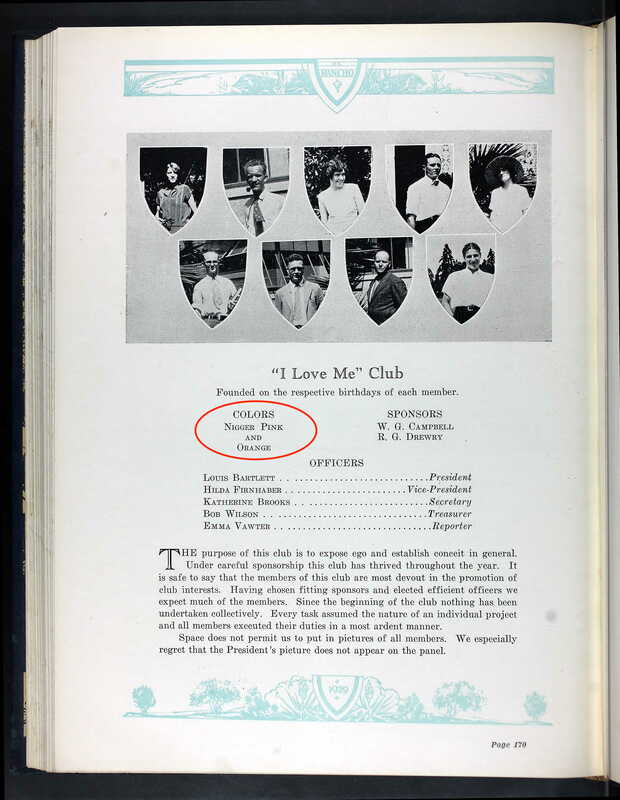 A shade of pink known as “Nigg** pink” was an official club color for the “I Love Me Club” (South Texas State Teachers College, Kingsville, Texas, 1929). 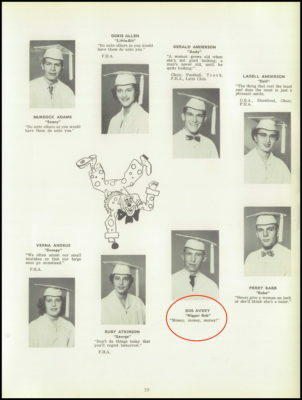 One can only wonder who in the world these teachers ended up teaching. 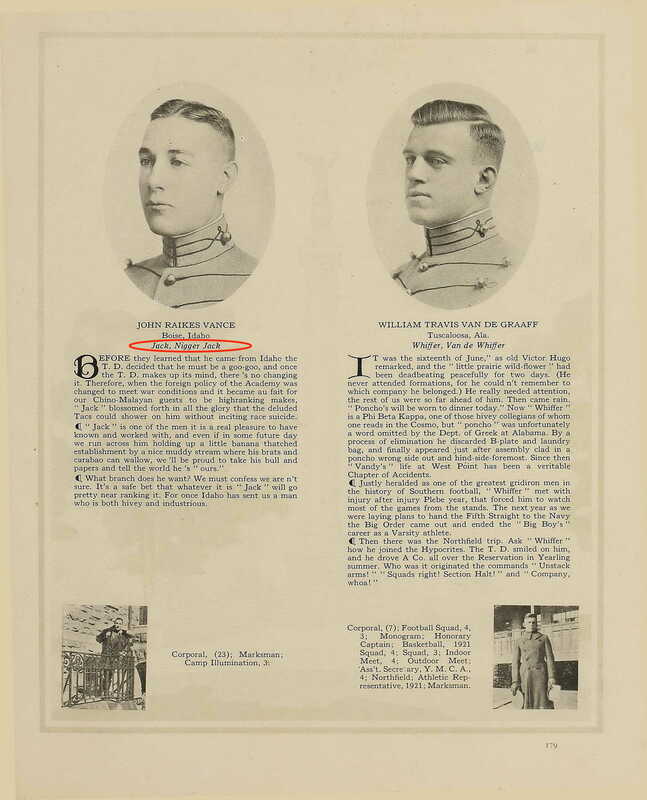 Even one of our esteemed military institutions, West Point, had a cadet who was originally from Idaho who was given the nickname “Jack Nigg** Jack” (United States Military Academy West Point, 1921). 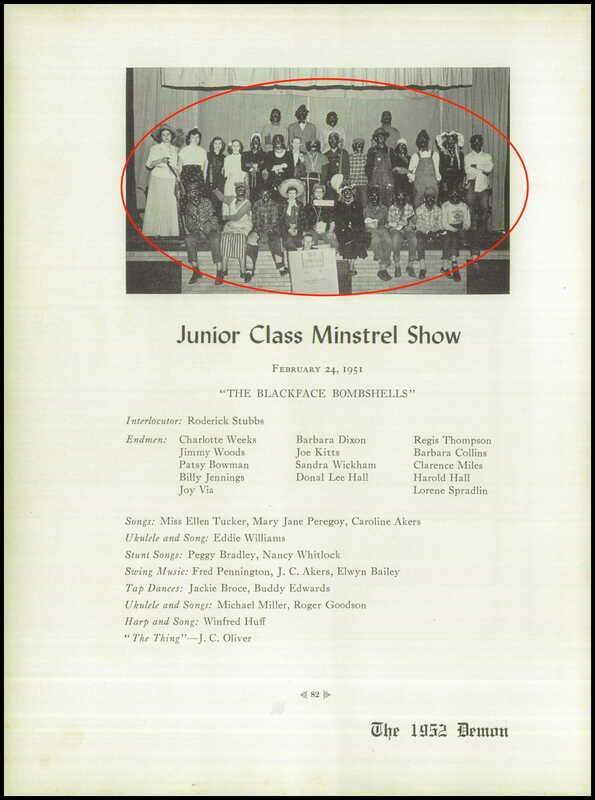 I asked my husband, a two sport athlete in college, where he was called the n-word more. 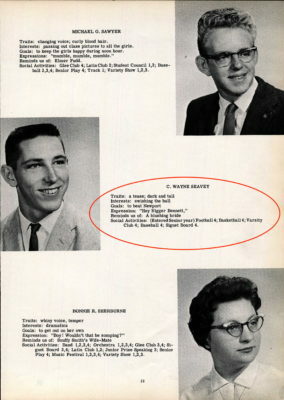 He told me “On the football field.” He was a quarterback. 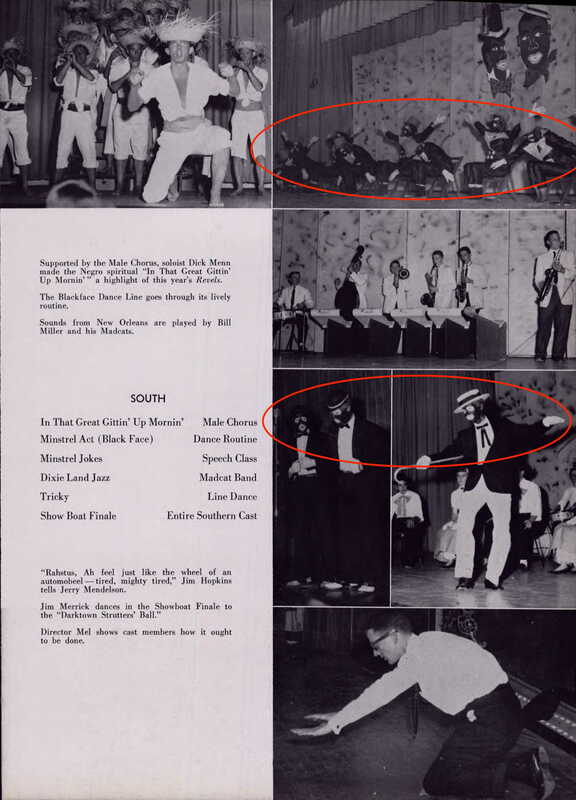 Recent news out of Texas confirms this isn’t a rare occurrence, although the yearbooks clearly show us the use of the n-word was a positive for lighter hued people and a negative one for darker skinned folks. 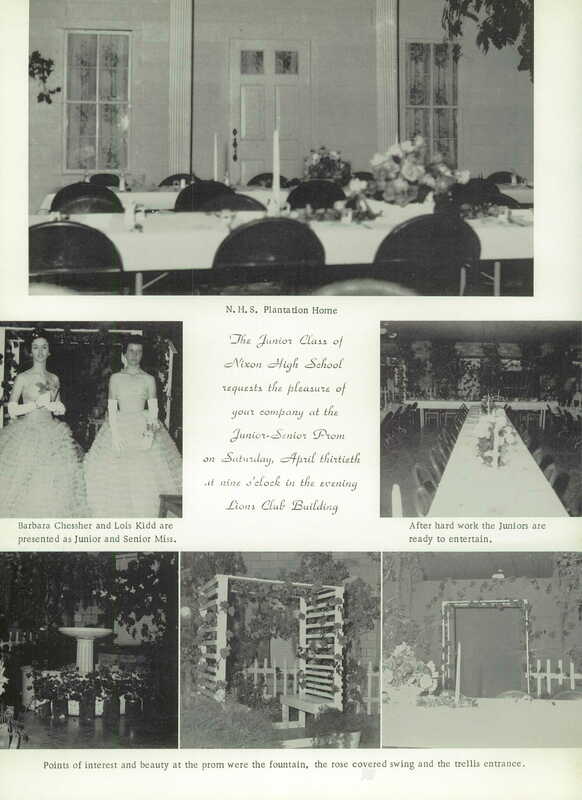 While we’re at it, we can’t leave out the prom. 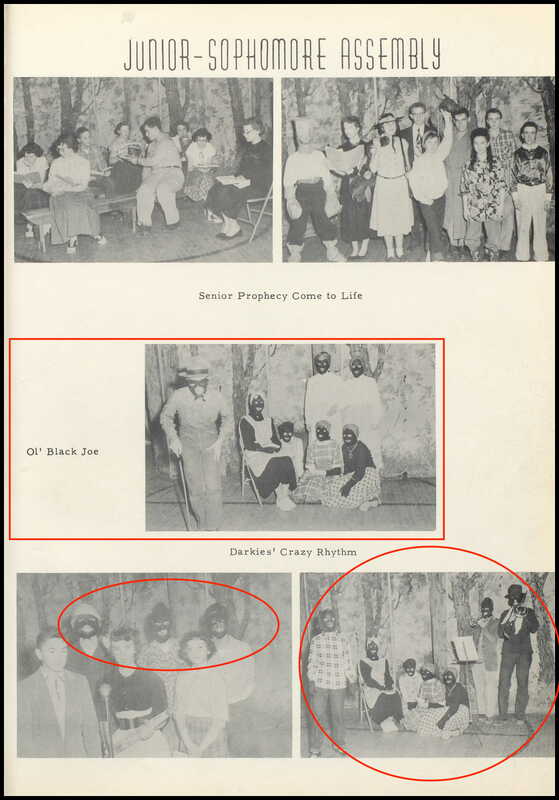 Horrid plantation themes like the one for a prom held for Nixon High School in Nixon, Texas in 1960 had people in blackface, including children in makeshift blackface masks, acting as “mammies” and pickaninnies” to set the mood. 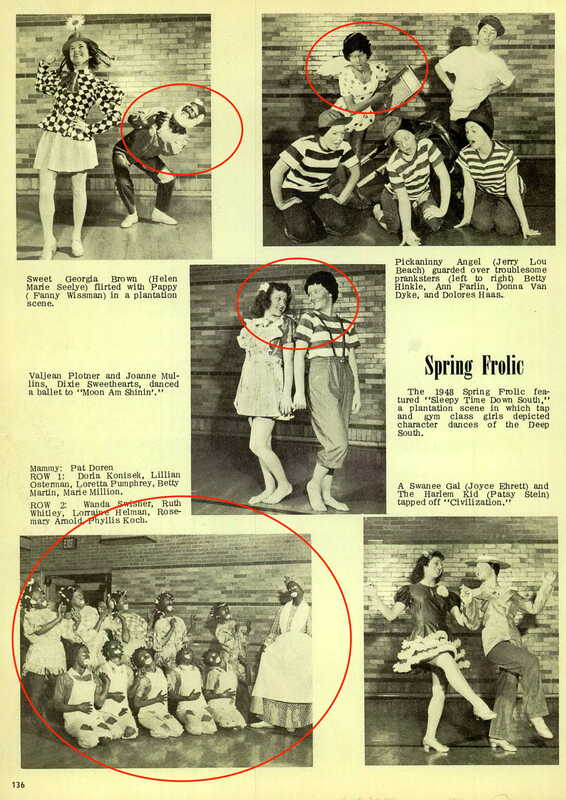 A dance performance, “Sleepy Time Down South,” with filled with tap and “character dances” of the Deep South (Pekin Community School, Pekin, Illinois, 1949). 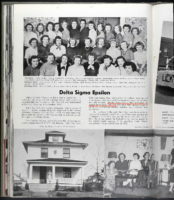 Sororities and fraternities were also in on things. 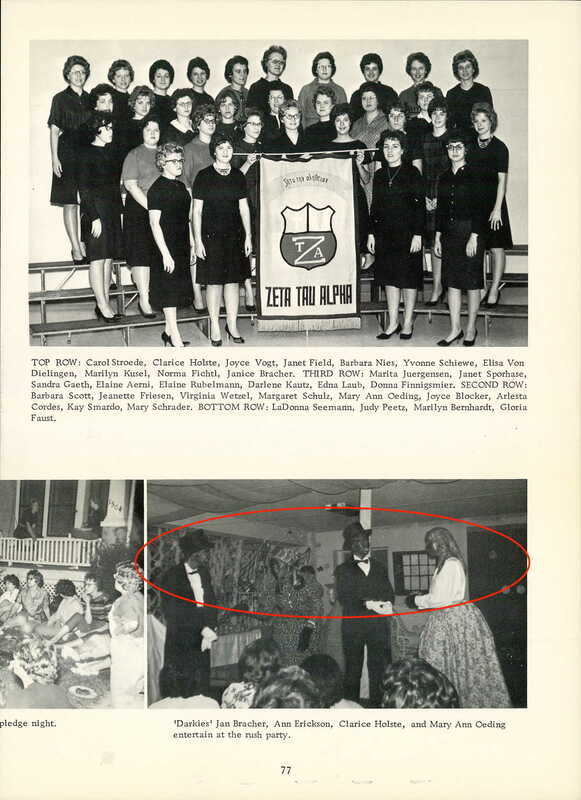 The same year as the March on Washington (1963), Zeta Tau Alpha Sorority at Saint John’s College in Winfield, Kansas held a rush party where sorority members were “Darkies” who “entertained.” Kappa Alpha Order at Wesleyan College (Buckhannon, West Virginia) sponsored an “Old South Week-end” including a mock “Klu Klux Klan convention” the same year Rev. Dr. Martin Luther King, Jr. was assassinated (1968). 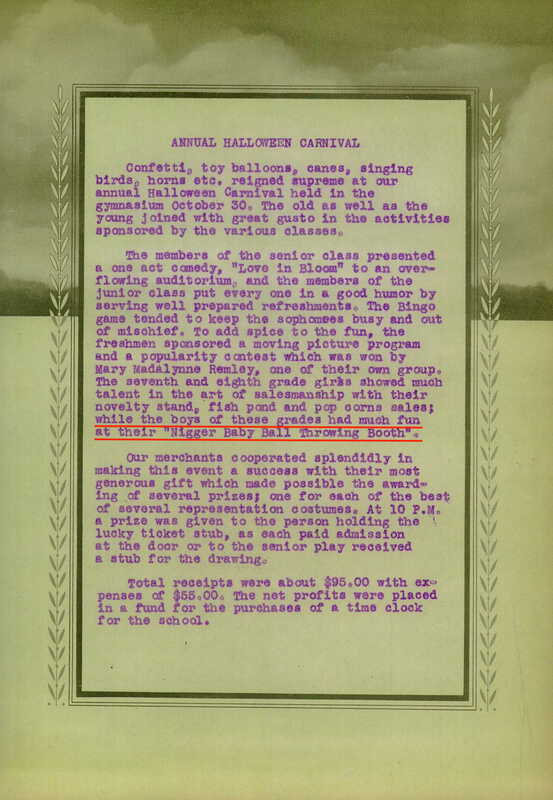 There was a pledge “costume party” at the University of Southern California where a couple of attendees dressed up as members of the Klu Klux Klan the same year members of my family risked their lives testing the Interstate Commerce Law through the Freedom Rides in 1961. 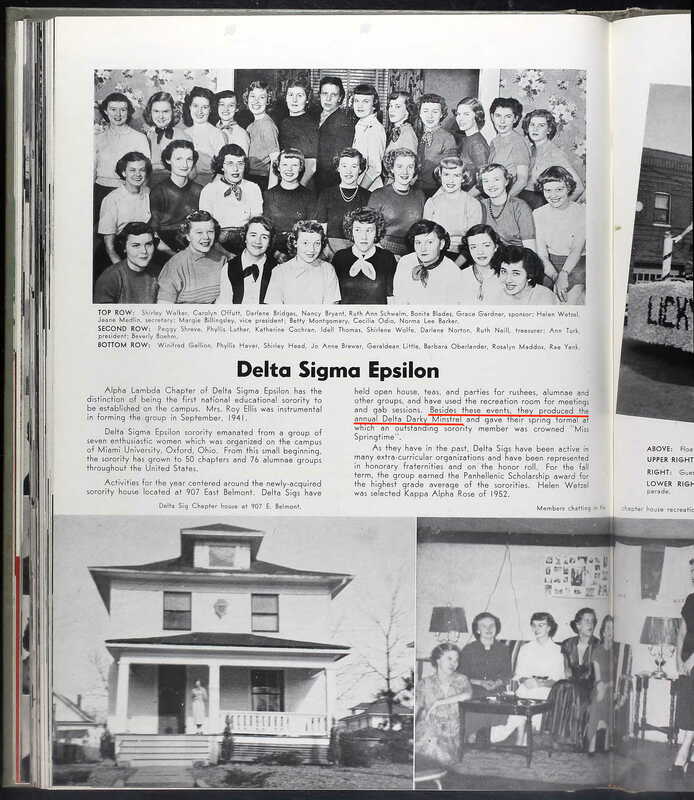 Delta Sigma Epsilon at Southwest Missouri State College in Springfield, Missouri held “The Delta Darky Minstrel” in 1952. 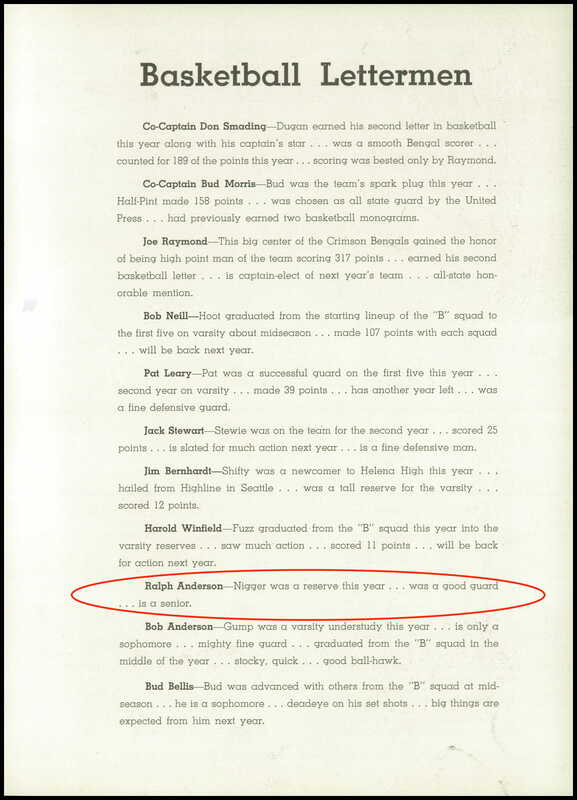 People wondered how this happened at Oklahoma and five other schools in 2015/2016. 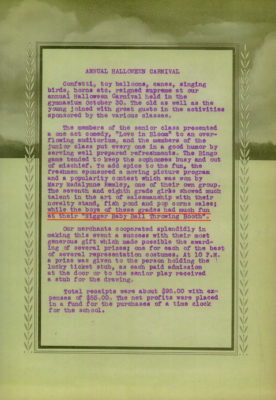 Or even this other event in November of 2018. 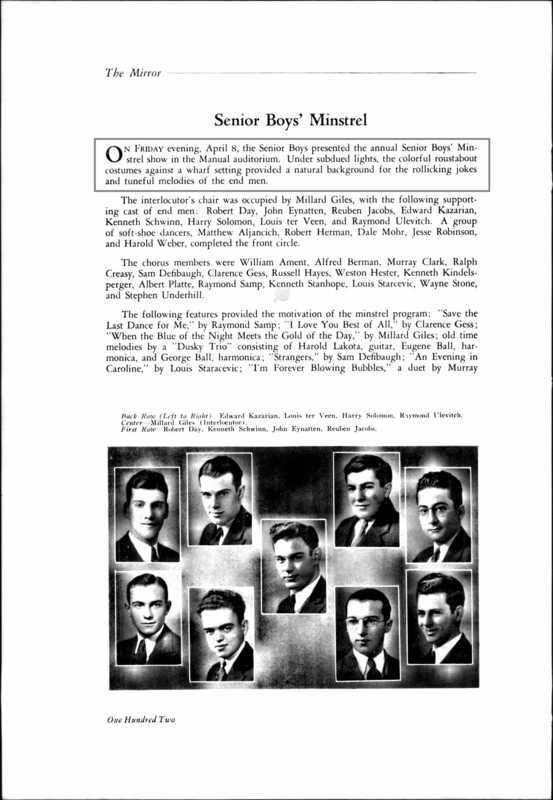 The foundation was already primed and laid. 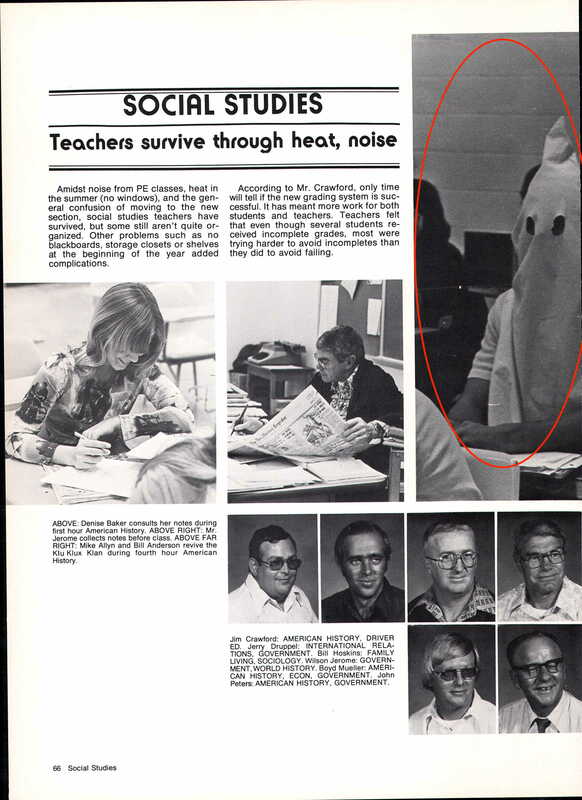 High schools didn’t shy away from this mess either. 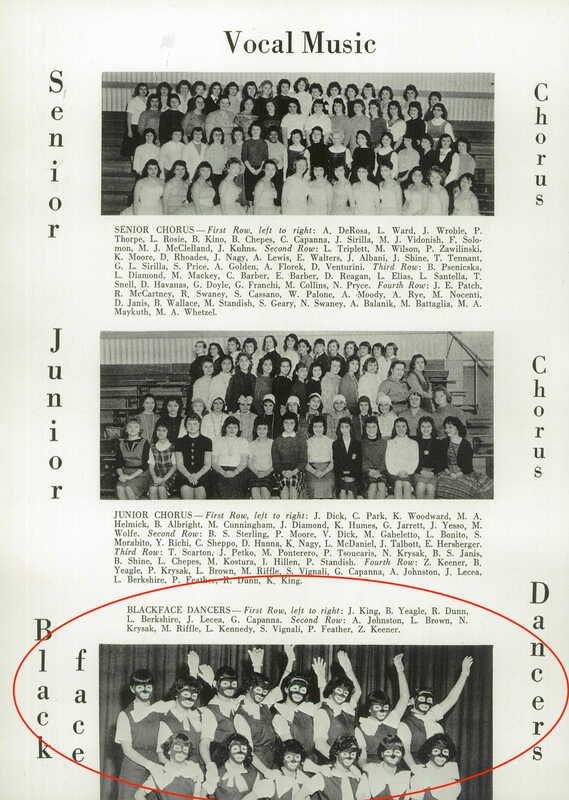 Mount Carmel High School, in what’s supposed to be liberal Los Angeles, California had “The Hawthorne Darkies doing the can-can” with names such as “Fechit, Charoal, Eggnog, and Poke” in 1951. 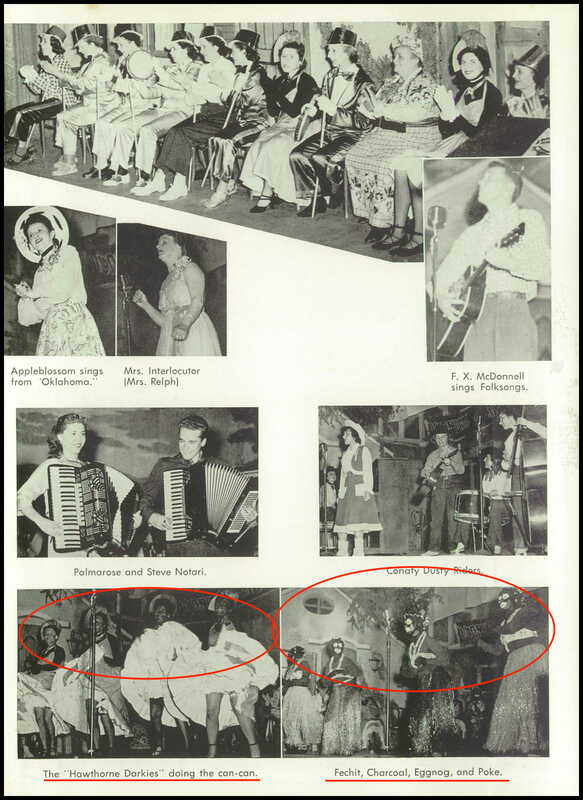 Minstrel groups were all the rage and were in full effect like at Manual Training High School, Peoria, Illinois (1932) and Winthrow High School, Cincinnati, Ohio (1933). 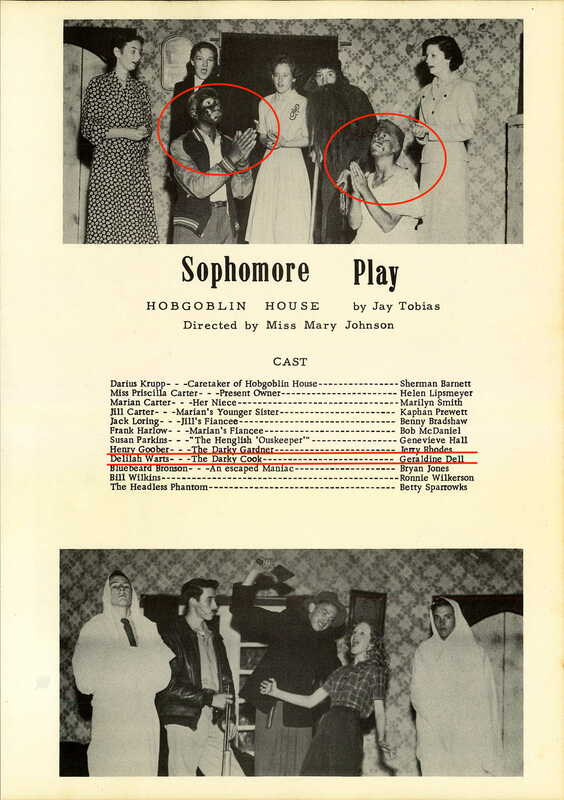 A sophomore class play, Hobgoglin House by Jay Tobias, featured “The Darky Gardner” and “The Darky Cook” as roles at Gideon High School, in Gideon, Missouri (1952). 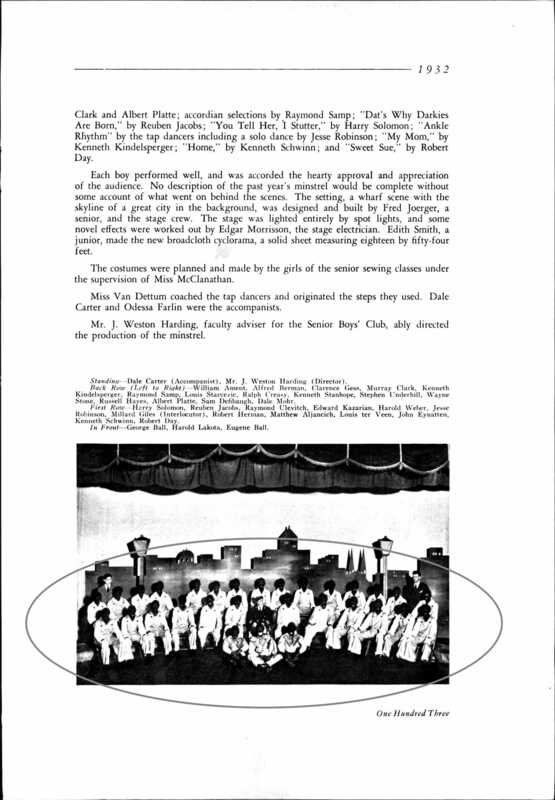 Cathedral Latin School, in Cleveland, Ohio, noted “Our Melody and Minstrel Men” in a almost unfathomable spread in 1942. 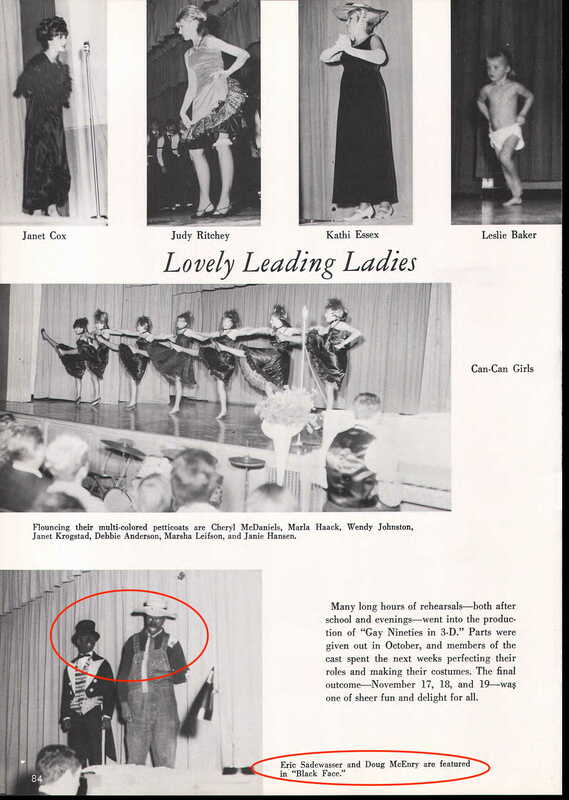 Valley City, North Dakota’s Saint Catherine´s High School, a Catholic school, featured a Junior Sophomore Assembly with “Ol’ Black Joe” and “Darkies’ Crazy Rhythm” in 1954. I didn’t even capture all I found. Just the things that stuck out to me. 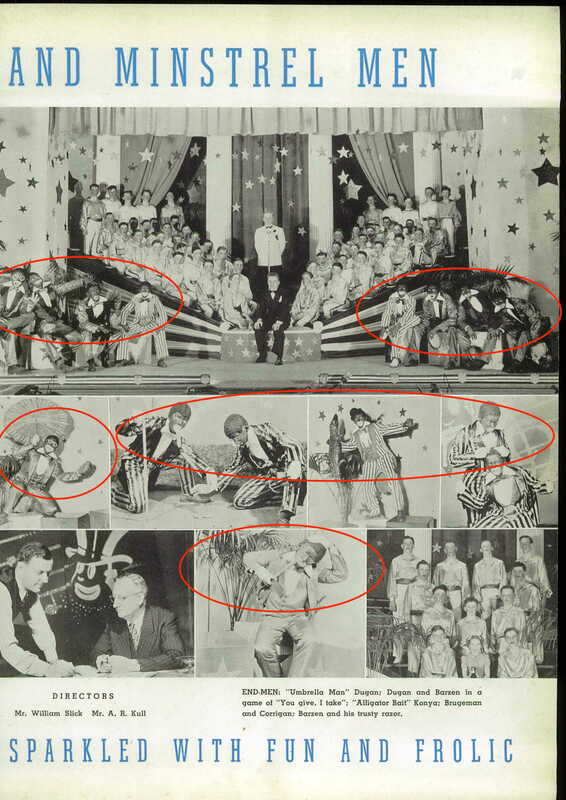 Folks are looking for public figures to own their shameful past, but that’s shortsighted. If we’re addressing this truly and deeply we should be having conversations with parents, grandparents, and community members that supported and participated in the behavior I’ve outlined who are not in the public eye. 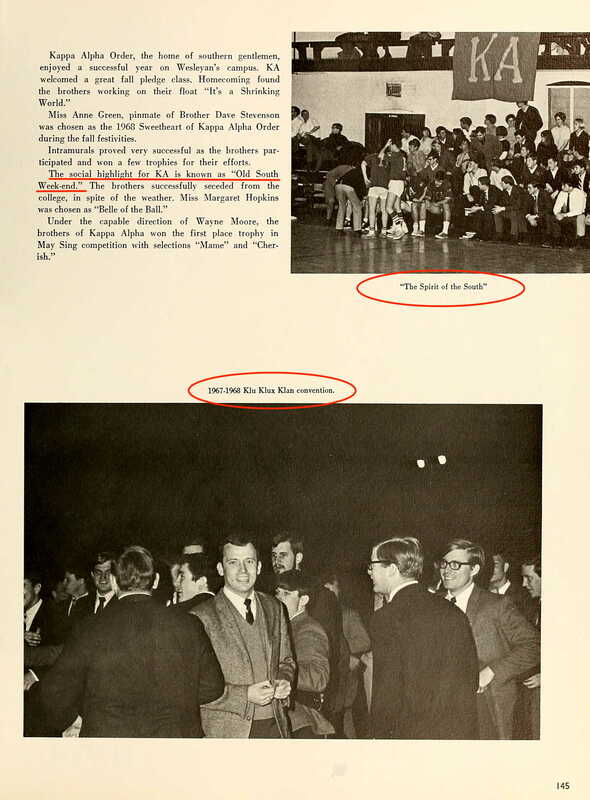 Sure, we can attribute some of this to what was going on at the time, but with a lot of these examples I’ve shared, they took place as the Civil Rights Movement was happening. If politicians in Virginia have to own it, we have to do that nationally, whether a photo or video exists or not. We have to remember that a deliberate choice was made. 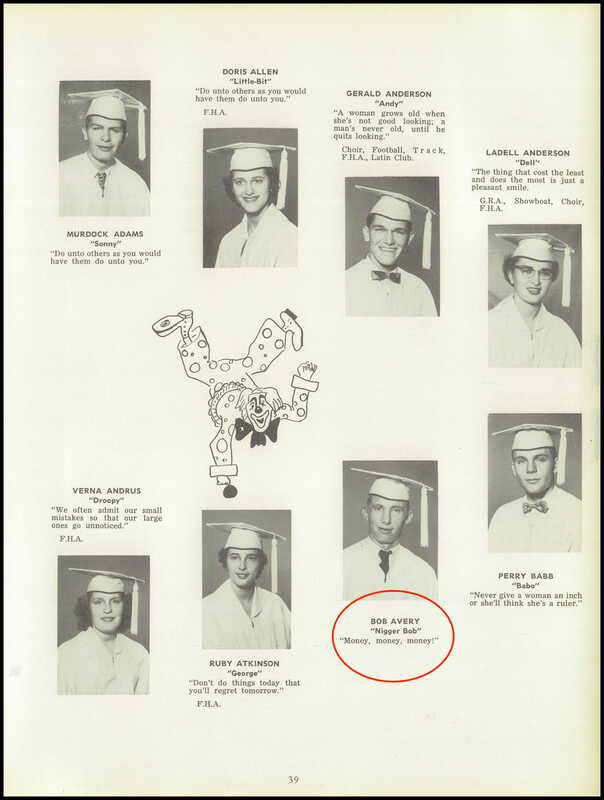 From the folks who were directly involved to the yearbook staff, their advisors, the school administrators, AND the people who haven’t uttered a word about these things for decades. They are all culpable. This really isn’t about Northam, Herring, or Virginia. This is American. There are dirty hands from sea to shining sea.